July 2nd was Star Festival at Hana’s nursery. 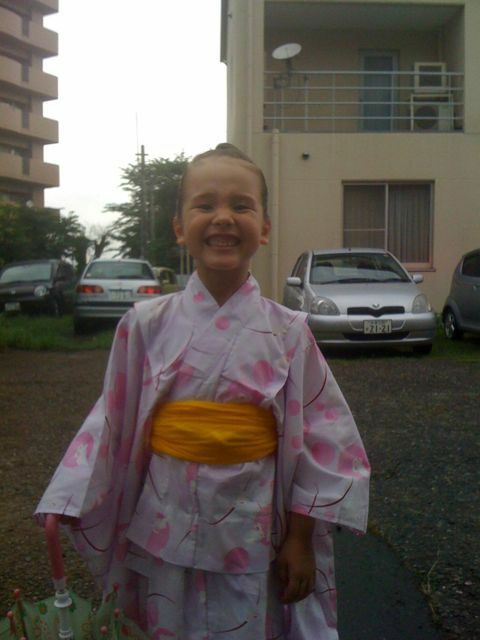 Despite the rain she danced around in her yukata and had great fun. This was her last time – next year Elementary School!! !